His Eminence Metropolitan Nikitas (Lulias) of the Dardanelles is currently Director of the Patriarch Athenagoras Orthodox Institute, a member of the Graduate Theological Union of the University of California at Berkeley CA. Before being elected metropolitan of the Dardanelles in Turkey, he served as the first Metropolitan bishop of the Greek Orthodox Metropolitanate of Hong Kong and Southeast Asia, named to this office by the Sacred and Holy Synod of the Ecumenical Patriarchate in December 1996 and formally installed in January 1997 at the Cathedral of Saint Luke the Evangelist in Hong Kong. 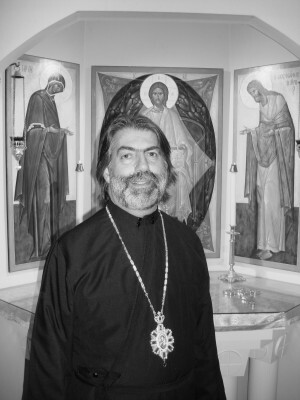 Metropolitan Nikitas was born in Tampa FL in 1955), earned his B.A. (Honors) and M.Div. (Honors) from the University of Florida (1976) and Holy Cross Greek Orthodox School of Theology in Brookline MA (1980). He pursued graduate studies at the University of Thessaloniki in Greece (1980-82) and studied the Russian language at St. Petersburg Theological Seminary in Russia (1992-93).